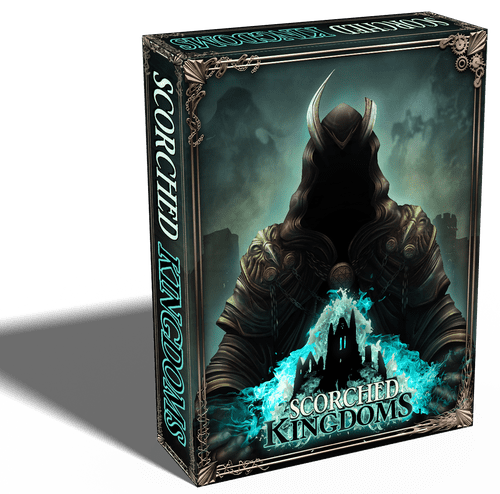 The Scorched Kingdoms has aspects of classic deck builders and Collectible Card Games. Implementing a more strategic movement system and offensive/defensive game mechanic. The strategy is simple. Construct a deck of Characters, Supplies, and Tiered Cards. 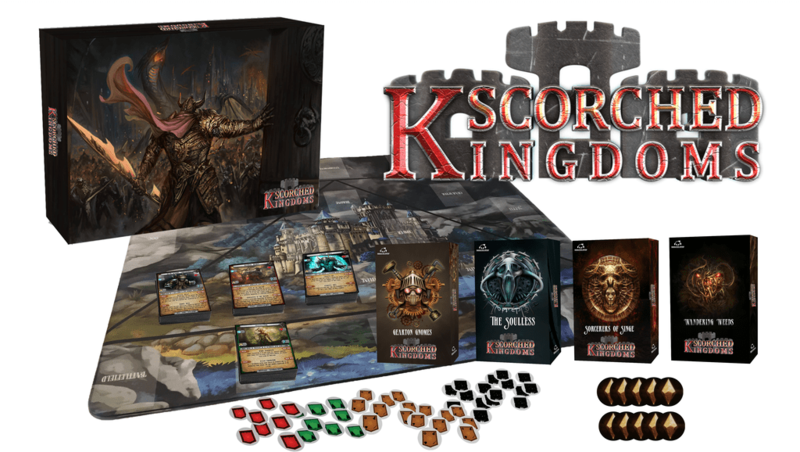 Claim victory by either capturing the opponents Throne, or obtaining 10 Scorch Tokens by killing opponents characters or building within your Kingdom. Each Nation has its own precious resource and every Clan has unique uses for these resources. Currently most of the game is complete. Im still working to balance all cards a little better and fix some of the wording on them. There are also a few cards and random things missing, but for play testing, I think everything is in pretty good order. All feedback is greatly appreciated, and Im sure I have a lot more to do than I think to make this into a great game.I have the basic version of 2 decks attached below. Didn't want to get too crazy starting out. I can add other decks and expanded cards later if people would enjoy it. For now I just need help figuring out what works and what doesn't, and if the game is something that more than just I would enjoy. - Game Board Info: My boards for the game are 24 x 20, but you can draw them whatever size suits you. The layout can be seen in the Instructions above, I didn't want to add a print version because it would be quite a bit of ink. If anyone needs a better explanation of the board I can get a basic version on here. If there are people interested, this is a very basic version of what I'm working to create. I would love to talk more in depth with some about other ideas I have. Let me know if any links are not working or if anything is blurry, Dropbox seems to hurt the quality often. I forgot to mention that the print-and-play PDF needs to be downloaded 3 times to have the minimum required cards to play. Intriguing, but I can't get over how your logo clearly says "Kscorched ingdoms"
Haha, ya the logo has caused me some pain recently. Im working on a couple possible changes. You could also have written the instruction to print that file 3x. True, I'm trying to get things together, still a few small mistakes to fix. Just wanted to put everything out there and start a discussion if possible. Ill work on changing the downloadable files to make it more clear! Yeah, I was just about to say the same thing. The "K" definitely needs to shrink. Joe you are doing really well. Massive bouquets for Getting Scorched Kingdom to this stage. It is possible to get too close to it - forest and trees problem. As painful as we are, PNP dudes will help you iron out the bugs so please persist. Thanks! I completely agree, and am hopefully ready for the good and bad. Im sure there is a bunch of both, and I look forward to seeing what we all come up with. Was everything in the directions somewhat easy to understand? I think I’m very close to the line of too much info, and I don’t want people to feel overwhelmed or think it’s more difficult than it is. Also let me know if something seems to be missing. I’m hoping to get things together soon and get back up on Kickstarter in the next couple months. A new box design I have been messing with. Also working on creating a Tabletop Simulator version of the print and play that I made available. It might make it easier for some testers. Hope everything has been going good. Let me know what you guys think so far! Thats the promo box for the Geek and Sundry review.